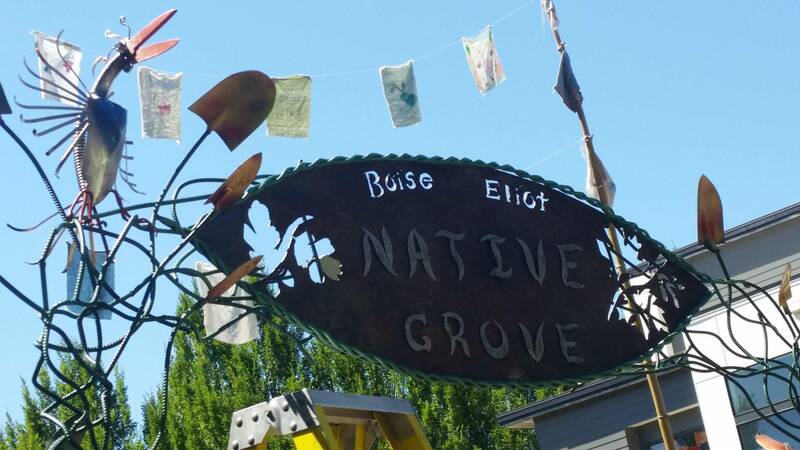 Community members Andrine de la Rocha and Howard Patterson are Boise-Eliot neighbors who designed and implemented the Native Grove project. Working with PBOT, Bureau of Environmental Services, East Multnomah Soil & Water Conservation, Xerces Society for Invertebrate Conservation, & others, they have organized over 1300 hours of volunteer labor to sheet mulch, apply compost, install rocks & logs, plant seeds, trees and plants, weave a willow structure, water, and design & install signage. Volunteer hours include 170+ from students at Boise-Eliot/Humboldt School and The Ivy School, and 80+ adult volunteers from the neighborhood, schools, businesses, and SOLVE volunteer program. They are currently working with The ReBuilding Center Community Outreach Program to design a six-sided bench to be built by neighbors from various groups in the area, from Self-Enhancement, Inc, to Oregon Tradeswomen, to The Q Center. 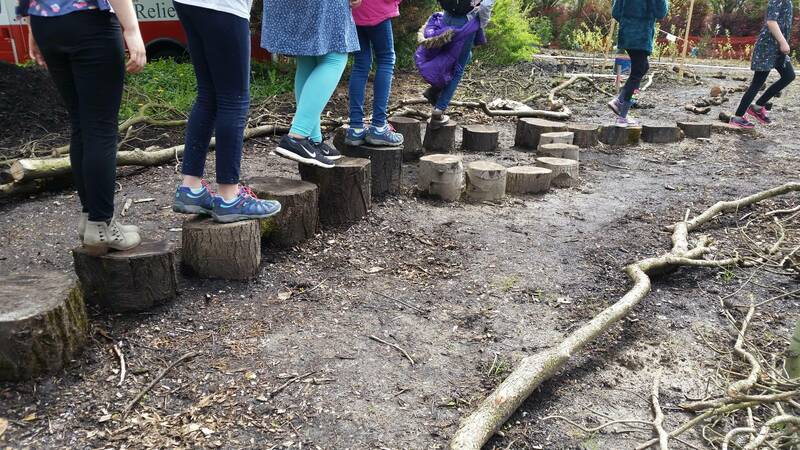 Watch for the Earth Day Party in April 2019, when the bench will be unveiled in the Oak Meadow. Come take a walk and learn about the little native ecosystem in your neighborhood. Previous PostMoving News about Martin Mayo HouseNext PostMore homes. All shapes and sizes. For all our neighbors.